Walking for your health is one of the easiest things you can do to lose weight and feel your best. It’s an activity that doesn’t require a gym membership or incredibly expensive equipment. All you need is the right pair of walking shoes, comfortable clothing, and a place to walk. While we don’t provide the last two things, we can help you make the choice of the best walking shoes for your favourite activity. 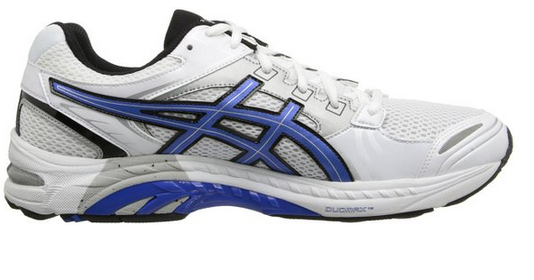 You’ll figure out the rest once you have comfortable walking shoes with cushioning and bounce. This company specializes in creating walking shoes for women that aren’t just smaller versions of men’s shoes. That’s what happens at most companies. The men’s shoes are shrunk and feminine colors are added. That’s all that is done to call a men’s walking shoe a women’s option. Women need more features that fit their feet. A women’s walking shoe needs to have more structure and great features that allow women to spend time walking continuously. They have great names for their shoes, too! Great walking shoes have to be made of a breathable material that fits comfortably around the entire foot. These walking shoes encase the foot in a cushioning that allows the skin to breath, too. When you lace these, you don’t want the material to dig into the skin. It’s important that as the day progresses, they provide comforting support while not compressing the foot. This balance can be hard to obtain, which is why it can be quite difficult to find the right walking shoes. The Dominion has that balance you’re looking for in your walking shoes. With memory foam, you don’t want the material to stay compressed. The latex base of the sock liner ensures that the entire bit won’t stay down when you need it to be springy. Memory foam provides an even balance distribution, which is a good way to increase shoe comfort and a stable gait while walking. When you walk or run, the ball of the foot as well as the heel experiences a pressure based on the shock of the ground and the weight of the walker. If you’re walking for health, you might not be at your ideal weight. Memory foam will help distribute your balance evenly and allow you to walk without pain. The molded EVA is light and has a full platform for the RE-ZORB technology. If you look at the bottom of the ZYKA walking shoes with this patented material, you’ll find a pattern that is familiar for each of them. The pods work together but independently to flex and move with confidence while cushioning and absorbing any shocks from the ground. No matter how hard your feet hit the ground while you’re walking, the sole will absorb and flex beautifully. The bottom of the shoe has rubber soles, but there’s more than just a flat material to grip the ground. The RYKA company likes to create pods for increased traction on many of their walking shoes including the Dominion. The external pod network exists to give a better sense of stability and traction to the shoes. From the stitching detail to the active foam midsole to the rubber outsole, the Dominion is a fantastic shoe for walking. It’s said that walkers should replace their shoes every 3 to 4 months, but often, the shoe wears out long before that time if it’s used every day. If you plan on being an active walker with your shoes, these can stand up to everyday use without needing to be replaced for a very long time. You might even go 6 to 7 months before having to purchase another pair. Will these shoes support high arches? These shoes are perfect for those with high arches. Customers had nothing but glowing praise for the support of these walking shoes. How true to size are the shoes? If you plan on wearing thick socks with your shoes, you want to consider a half size larger, but they’re true to size. Whether you wear a 6 or an 8, you can order that size with confidence. What does the C and D mean in the sizing chart? This is the width of the walking shoe. The C and D are the widest widths. 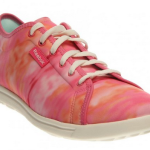 These RYKA Dominion Walking Shoes are a great shoe for those who want to exercise by walking. It’s a shoe that won’t have to be replaced often, and it’ll stand up to any abuse you can throw at it.